KRYSTAL awaits you all on Saturday, January the 19th 2019 for a fantastic Dinner Show and Party, opening at 8.30 pm with an exclusive dinner for up to 25 couples, and later we will dive into a magical night open to all. 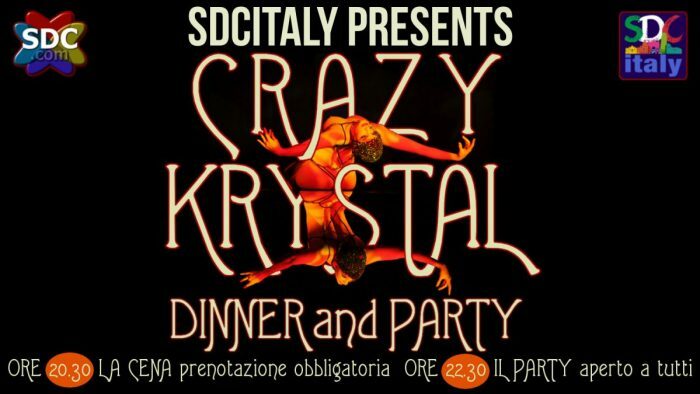 We strongly recommend you to attend the DINNER at KRYSTAL, because the most beautiful nights arise from an intimate and hot preparty. Due to organizational purposes, please join the Guest List and confirm your attendance. Friends are also welcome, so feel free to invite them, even if not SDC members. DINNER (wine included) is priced only € 50 per couple over the fee for the Party.